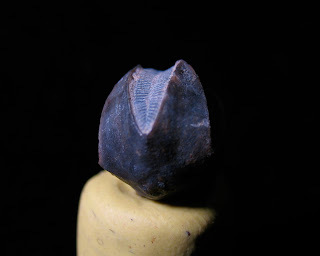 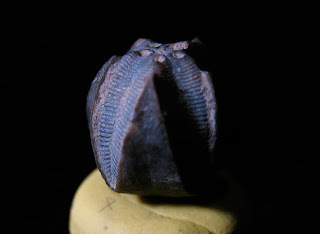 This blastoid takes on a blackish appearance in its photos. Identified as a Pentremites from the Glen Dean Formation of Grayson County, Kentucky. 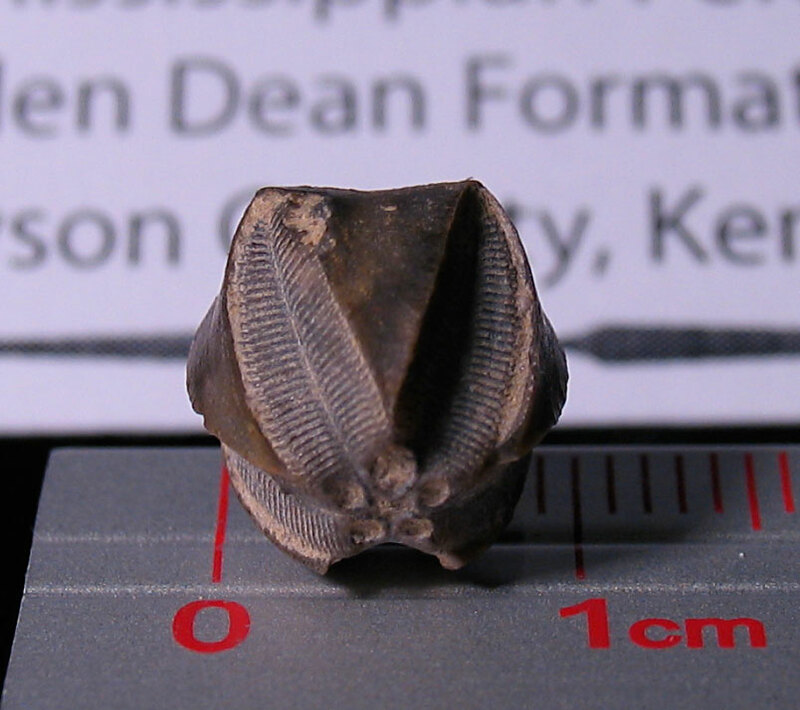 It is dated to the Mississippian Period.